What do you know about Pittsburgh, Pennsylvania? Chances are, you associate this city with one of two things – sports, or steel. With well-known sports teams like the Steelers (football) and the Penguins (hockey) calling Pittsburgh home and a long history of steel manufacturing, it's no wonder these are the two things most frequently associated with the city. But Pittsburgh is so much more than sports and steel. 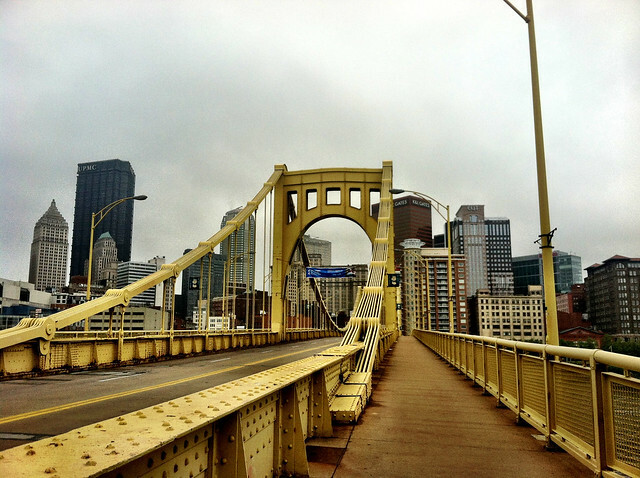 Read on to learn some fun facts about “Steel City” that you probably didn't know! Pittsburgh is the “City of Bridges.” Believe it or not, Pittsburgh has more bridges than Venice! The city boasts more than 445 of them, many of them crossing the three rivers (Ohio, Allegheny, and Monongahela) that meet in downtown Pittsburgh. Pittsburgh is the home of public TV. In 1954, WQED became the first community-sponsored educational TV station in America. And one of its most beloved shows — Mister Rogers' Neighborhood — was based in the Pittsburgh neighborhood of Oakland. Fred Rogers himself even called the area home. Pittsburgh also has hills. Move over San Francisco. Bike enthusiasts in the Midwest should look no further than Pittsburgh if they want to train on some steep terrain. Pittsburgh is made up of hills, rivers, and valleys — making for some interesting (and extremely hilly) roads. 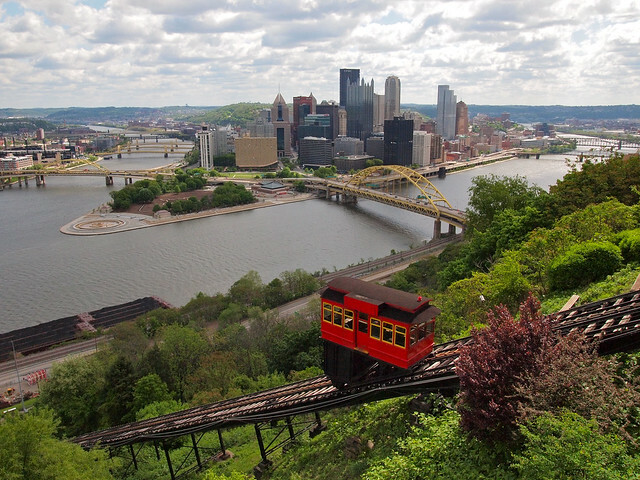 To properly appreciate these hills, be sure to ride the Duquesne Incline up Mount Washington. The views at the top are fantastic! Pittsburgh could be the next Hollywood. Okay, so maybe not really. But the city has starred in a lot of blockbusters in recent years — the most famous of which probably being “The Dark Knight Rises.” This is actually fairly apropos, considering that the first movie theater in the world — the Nickelodeon — was opened in Pittsburgh in 1905. Celebrities call Pittsburgh home. From Gene Kelly to Michael Keaton to Christina Aguilera, many famous people have ties to Pittsburgh. And we of course can't forget Pittsburgh's most famous artist, either — Andy Warhol. Along with the Carnegie museums, the Andy Warhol Museum is one of the best in city. Pittsburgh is the home of the emoticon. You know that smiley face you use all the time online and in text messages? Well it was created in 1980 by Carnegie Mellon University computer scientist Scott Fahlman. Pittsburgh has famous food. Plenty of foods that we all know and love started out right here in Pittsburgh. Like the Klondike bar. And Heinz ketchup. And even the Big Mac (which was “invented” near Pittsburgh in 1967). But if you want a real Pittsburgh classic? 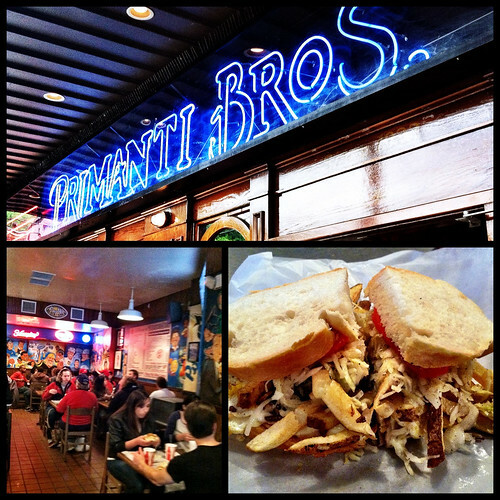 You have to head to Primanti Brothers‘ Strip District location — home of some of the biggest sandwiches you'll ever find, with coleslaw and fries right on top. Pittsburghers speak Pittsburghese. The Steelers become the “Stillers,” wash becomes “warsh,” and you'll hear “yinz” substituted for “you guys.” Pittsburgh is full of art. From the Carnegie Museum of Art to the Frick to the Warhol to the Mattress Factory, Pittsburgh is actually quite an artsy city. 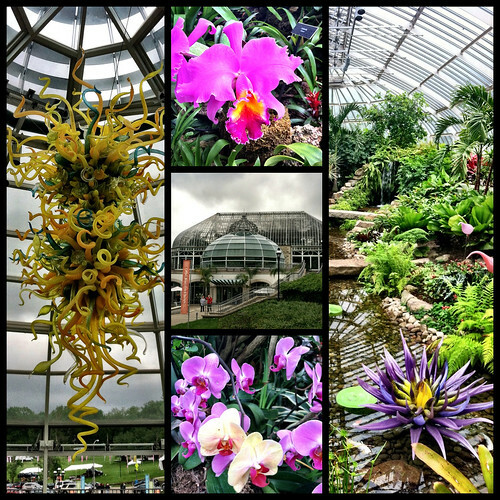 Even Phipps Conservatory has an artsy flair, with glassworks dotted throughout the gardens and exhibits. Pittsburgh is very livable. For a long time, Pittsburgh had a reputation as a polluted industrial town. Forget about that, though. Today, Pittsburgh has dozens of LEED-certified buildings, lots of green spaces, and is currently sitting pretty as the 30th most livable city in the world (and the second most livable in the US), according to CNN. Pittsburgh may not be New York or Las Vegas. It may not be Miami or San Francisco. But that doesn't mean it's not worth a weekend of your time. In fact, if you ask me, Pittsburgh is one of the most underrated cities in the U.S. Hopefully I've convinced you to at least consider a visit! Pittsburgh has a wide variety of hotels scattered around the city, whether you want to stay right downtown or in one of the surrounding neighborhoods. All the normal chains can be found here, from Hilton to Hampton to Holiday Inn. Pittsburgh also has some unique boutique and luxury hotels downtown, including the Omni William Penn (JFK stayed there! ), the Fairmont, and Hotel Monaco by Kimpton. Or check out Pittsburgh's best hotels here. So how about it? Who wants to visit Pittsburgh? *Note: My visit to Pittsburgh was partially sponsored by VisitPittsburgh and the Courtyard Pittsburgh West Homestead/Waterfront. As always, though, my opinions are my own. There are also a few affiliate links in this post. My friend is doing a tour through the US and Canada this summer, and she asked me “what’s there to do in Pittsburgh?” I’ve never been to Pittsburgh, but I know every city/place has something to do. I’ll have to forward this post to her. I’m sure Pittsburgh is not the first travel destination people think of visiting in the US, but I’d gladly go there. Yes, please send this her way! (I also have a “top 10” list for Pittsburgh on my site, which lists other things like more museums, the zoo, the South Side, etc.) Pittsburgh packs a punch if you’re willing to go looking for it. If she’s there in the summer, chances are there will be a festival of some sort going on, too! Convinced! I’m going to put Pittsburgh on my next-city-to-visit-over-a-long-weekend list. Thanks!! Pittsburgh is a city I must discover soon, being so close to Montreal (by North American standards anyway!). I think it would make for a fun weekend getaway! I highly recommend it! And yes, not far at all by North American standards! When there, poutine is available and appreciated too; I walk two blocks to Park Bruges for a Belgian and a plate of traditional or house-style, but most often several of us enjoy the same in the outside area after our Tuesday night bike rides from the T’azzo d’Oro coffee shop. Mmmm pierogi… so tasty! I agree that your hometown deserves some love! I’m heading to Pittsburgh in a few weeks to meet up w/ an old college roomie, as it’s halfway-ish for each of us. I’ve been pleasantly surprised as I research local restaurants/bars and fun things to see and do – I agree it seems like a really underrated city and can’t wait to check it out! I hope you have a great time and are pleasantly surprised by what you find there! Pittsburgh is definitely underrated. However, Pittsburgh is definitely a sports town. I wouldn’t sell them short on that Hollywood thing though. I think they could see a HUGE increase of movies and shows being filmed there in the coming years. I’ve had lots of conversations with people about Pittsburgh lately. In doing some research, many have stated how underrated this city is. I loved walking the streets and taking photos of the city recently. Definitely a sports town, yes, but also much more! I’m glad you enjoyed the city, too. I’m from Pittsburgh and didn’t know some of these facts. Thanks for showing the love for my hometown. Happy to share the love, Fred – and happy to teach you a few fun facts about your hometown! Pittsburgh is so a good looking city, we had a great time on our visit. I know it’s not just a city of sports but PNC Park is probably the best looking baseball field I’ve seen, such a great view of the city. PNC Park does have a pretty incredible view, I agree! I spent a weekend in Pittsburgh a few months ago and had a great time. I definitely agree that it’s an underrated city. Good to hear that you had a great time there! I hear “underrated” a lot from other people to describe Pittsburgh. I am living in central Ohio but a Pgh native—and I miss the city!! I think that it is one of America’s most beautiful and livable cities: great health care, arts, cuture, recreation, and topping it all off, a reasonable cost of living!! I agree! And clearly others do, too, because Pittsburgh is consistently ranked as one of the most livable cities in the US! I may be biased as a Pittsburgh native, but I have no doubt Pittsburgh is the most underrated city in the country. It sounds like you hit all the big spots! Nice pics from Mt. Washington. The view from up there was once rated the 2nd-best view in the country by USA Today, behind only the Grand Canyon. Wow, second-best view in the country? That’s high praise! But, then again, it IS pretty awesome. I used to visit Pittsburgh a lot as a kid, and then quite a bit again in college since I had a lot of friends who were from the area. But it was fun to dedicate a whole weekend to the city. I had a great time! I used to live in Pittsburgh. I love it there. It is a city with a small town feel. The people are friendly and the food is good no matter where you go. The neighborhoods are also a place to visit with old, rustic charm. I am glad you enjoyed visiting! Totally agree with everything you just said! Pittsburgh is a great city. I came across your article on http://www.popcitymedia.com (a great resource for all things Pittsburgh), and now I’ll look forward to receiving your newsletter as well! That was by far my favorite exhibit at The Warhol as well! Pittsburgh is definitely worth a visit…I spent two days there, mainly to visit PNC Park, but need to go back soon! There’s a lot to do! Museums, sports, food… you could probably easily spend a week and still not see everything worth seeing. I am really enjoying what I’ve been reading given I’m moving to Oakmont in August (site unseen) from, hands-down, one of the most liveable towns on the planet – Missoula, MT! It will be hard to leave the splendor of western Montana but we are moving so our youngest can enroll in the WPSD. My wife and kids visited earlier in the spring, and were blown away by school’s resources. They were also taken back by how friendly everyone was. OK… lots of praise for Pittsburgh. BUT how about somebody chimes in on the cons? For instance, I have a feeling, with so many bridges, traffic has got to be a nightmare. What about weather… do you ever see the sun in Pburgh? How’s the humidity? I’ve also been told there is a bunch of fracking going on in the outskirts of Pittsburgh. Is this true and should it be a concern? How’s the public transportation situation.. is there no metro, commuter rail or monorail… correct me if I’m wrong? Sorry, I know this is supposed to be a fun facts about Pitts site. It just seems too awesome and positive. I’m not trying to bring everyone down, I just want to know if Pittsburgh is known for some not so cool stuff, as well. Missoula is awesome in so many ways but I would warn about the fire season; it can be smoky as hell in August and Sept. We also get a great deal of inversion in the winter months making for very long and grey winters. In direct relation to the smoke and inversion issues, the air quality could be better in Zoo Town, as well. Yup, this is indeed a post about fun facts about Pittsburgh – nothing too serious! As for the downsides to the city, I’m not a resident, so my observations only come from a visitor’s perspective. BUT, yes, traffic can be a bit of a nightmare, and chances are you will get lost a lot in the beginning because the road system in Pittsburgh is mental. Even GPSes get confused there. The weather there (from what I can tell) is typical for this part of the country (and similar to the weather where I’m from an hour away in Ohio) – cold in the winter and hot/humid in the summer. You DO see sun, though, don’t worry. Yes there’s fracking going on all over Pennsylvania, Ohio, and surrounding states. I won’t share my personal opinions on it here, though. Just know it’s happening. And as for public transportation, I really can’t speak to that. There are buses, but no extensive metro system. Most people in Pittsburgh own a car (or at least a bike). Both are fairly close to Oakmont. To answer some of your questions: Not going to lie, the traffic can be a pain, but it’s not as bad as L.A., NYC, etc. And depending on where you’re going, you can sometimes find some back roads to avoid the bottle necks. But as DangerousBiz mentioned, Pittsburgh has a long way to go when it comes to getting around town. We’re famous for limited or nonexistent road signs, endless construction projects in the spring/summer and lots of one way streets. The good news…if you ever get lost, I would bet you could ask anyone and they’d be happy to help you find your way. Rt. 28…the road you’ll probably be traveling, can be a bit of a nightmare at rush hour. But they’ve been making improvements to it for the past several years and it’s come a long way. Fracking is big business in the rural parts of Western PA. Depending on who you talk to, it could be a concern…or not. Our transporation system could use a facelift. We have a bus system that has, unfortunately, had a lot of service cuts. But we just elected a new mayor so things could change! Our limited metro system is called the “T”. It comes in handy if you’re trying to get around town, to the “North Shore” – home to our baseball and football stadiums, casino, science center, etc. Commuters who live in the South Hills make out the best because that’s where it has the most stops. One cool fact I did learn about Pittsburgh in my research – it is where the characters of Lenny and Squigy were born (at Carnige Mellon U). Fantastic job promoting what I am now convinced truly is an under appreciated city! I would love to learn more and so appreciate your article and am thrilled to hear that Pittsburgh is working so hard to be a far greener and more sustainable city! Furthermore, I am floored by the number of bridges and would love to explore Pittsburgh’s outdoor spaces! I would go so far as to say that Pittsburgh is probably one of the most underrated cities I’ve ever been to. There are SO many interesting things about it. I’m glad to be able to do my small part to help promote it! Grew up in Pittsburgh and now live in Philly – I am a total advocate of friends taking the 5 hour journey for a quick weekend visit. The city has never disappointed any of my friends who took me up on the idea! Maybe you can help though – my son is doing a speech on the “mysteries of Pittsburgh”… like the 4th river, the B52 bomber, Point park on a scrap field, bridges (incuding the bridge of sighs), George Washington “slipped” here.. Do you know of any more intersting/little known…mysteries of pittsburgh? Like I always say, Pittsburgh really is underrated! I’m sorry to say that I can’t think of any other little “mysteries” for your son to add to his speech. In fact, I’ll need to read up on a few you mentioned that I’ve never heard about! Great job hitting the highlights. 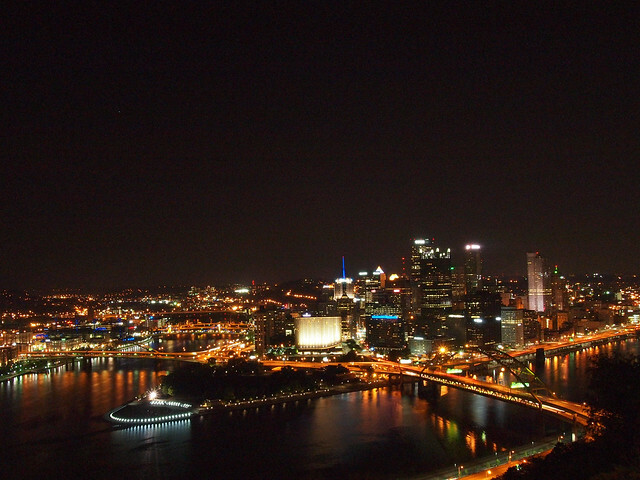 I grew up in Pittsburgh and you identified many of the places we would take out of towners. One item that you can’t miss though, is Frank Lloyd Wright’s Falling Water. It is about an hour outside the city in the Appalachian mountains, near a large wilderness area called Ohio Pyle. Its an amazing house in the woods cantilevered over a waterfall. Go in the fall when the leaves are changing color. Thanks, Mark! And would you believe that I have yet to visit Fallingwater? I definitely need to. BEST St Patrick’s Day party Ever! Great to be down town with friends from Butler and Nashville. You forgot the city’s latest gift to the world – namely Jackie Evancho. I didn’t know she was from Pittsburgh! Just got back from a trip to Pittsburgh. Beautiful city and great people. ..can’t wait to go back. Great to hear you enjoyed it! It’s such a fun city. You know what’s really cool is that if you’re lost and ask directions it’s not unusual for someone to just say “follow me” and take you to you destination. I’ve been over ever inch of this country and Pittsburghers are some of the most friendly folks and don’t take themselves too seriously. I used to go to Pirates games as a kid on family night, and remember those same fireworks shows! You must start to include two one-of-a-kinds in Pittsburgh. First, the Bayernhoff Museum and the fact that there is a Theatre Organ in Dormont. Not many places have one. They are the big old Wurlitzer Organs that were invented to accompany silent films. They have bird calls, thunder, street sounds, bells, whistles, ooga horns, horse’s hoofs, etc. The Pittsburgh Area Theatre Organ Society maintains the organ in Keystone Oaks High School auditorium. Silent films are accompanied with the Wurlitzer just as they were in 1920. Concerts on the organ are also held during the school year.